What inspired you? This a question that everyone gets when they create something. No lie, we can’t really put a finger on it. We’ve always wanted a magazine, but we needed to do something different. Then it came to us as we watched people we worked with in the creative industry struggle to get their work out there and make ends meet. So we started building this ‘US’ dream with a few key words in mind; Discovering, Connecting, Collaborating Creatives. BE Afrika Media Ltd was started with the mission to support creatives and play its part in building the industry. We are a content creating company that works as a creative collaboration, focusing on building brands and the creative sector in Africa. 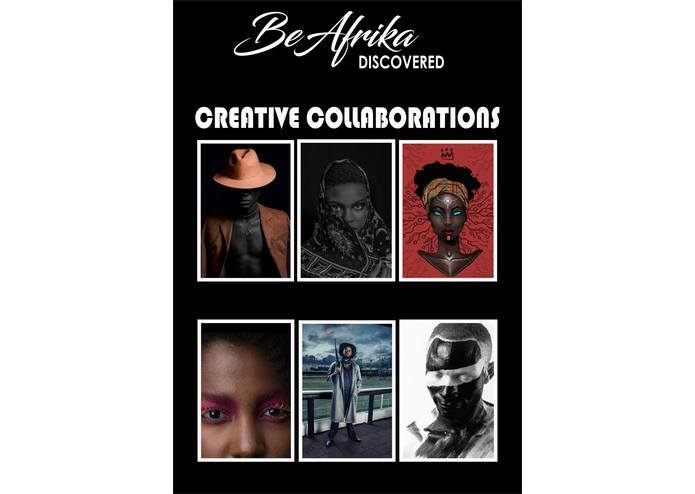 We have an interest in identifying, empowering and ensuring that creatives have an enabling environment to support their talent and our first step was through our digital magazine BE Afrika Discovered. We craft our content to fit our unique audience or rebels, trendsetters, industry disruptors and the self-employed. Be Afrika is a platform that prompts interaction and consumption. Though described as a 'Sleeping Giant' there is not much support given to this industry in terms of governing laws and policies, and even infrastructure when it comes to internet connectivity. Gaining public attention and interest in the industry has been a slow rise, but it is rising with each passing year. We are proud of the 9 issues we have published so far and the increasing number of creatives who wish to be featured in the magazine and the rising number of viewership each passing month, which currently stands at 29,268. From this we've learned people are open and willing to learn more about the creative industry, especially finding ways to make an income out of it. They just require the tools to do so and we wish to provide them with those tools. Creativity is needed in everyday life, especially when it comes to business branding and many companies are collaborating with creatives to assist them in standing out and gaining attention. We wish to facilitate this collaboration, especially for fair work and pay for creatives. Be Discovered isn't just a magazine, but a platform that supports creatives through visibility and information they wouldn't normally find easily. As a digital magazine it is accessible anywhere in the world by anyone with an internet connection. Our goal is to grow the digital magazine into a bigger platform, a resource that is easily accessible, diverse and does not discriminate no matter the location, person and financial position; where creatives can not only show off their skills but get hired for work and sell their merchandise. This web and mobile app will be called Creative Corner.